Houston SpoiledOnes this is for you! 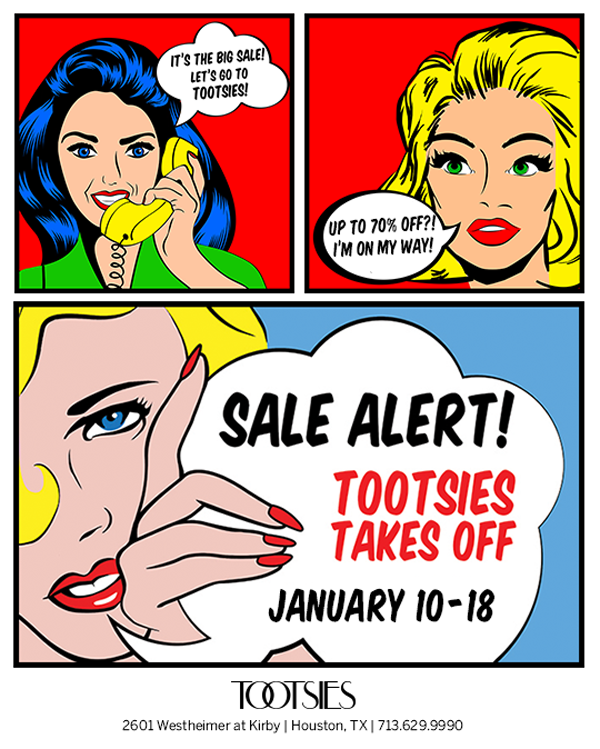 Tootsies, is having a major sale starting January 10-18th and items are marked down as much as 70%! I went in to preview the sale a few days ago, if you follow me on Instagram you noticed the pic of the huge sale racks . I was amazed at the mark downs from designers such as J. Mendel, Charlotte Olympia and Guiseppi Zanotti, Elie Tahari, Lafayette 148, Ferragamo, Valentino, Moschino and the list goes on and on. You have to see it to believe it! This is your chance to score a big deal on designer and contemporary items, including shoes, handbags, jewelries, and accessories. I scored these great pair of Valentino heels and a Salvatore Farragamo pocketbook (I haven't taken a picture of it) and saved over $800! The store is open Monday through Saturday from 10 AM to 7 PM and Sunday from noon - 5 PM. 2601 Westheimer at Kirby in "West Ave".